Greetings to our supporters and friends! I am writing to you from Kathmandu, Nepal. Over the last four weeks I’ve spent in-country, I’ve been glad to find Kathmandu relatively free from the widespread destruction caused by the April & May 2015 earthquakes. Contrary to what you may have seen in the media, the real damage was done outside Nepal’s largest city, in rural communities like Darkha. I just returned from a four day site visit to Darkha, a village in Nepal’s northern Dhading District. Devastation from the earthquake was everywhere. I saw temporary homes hastily built of wood and tin, and teachers holding classes in the ruins of their buildings or in improvised outdoor classrooms. Fifty people were killed in Darkha, and scores of animals were lost. Families have also lost the structures where they store their corn, millet, and rice harvests, which could lead to future food insecurity. What we found in abundance were smiles and well-wishes from an amazingly resilient population! People are thankful for the rice, tents, and tarps that your donations supplied in the immediate aftermath of the earthquake. They are excited for the rebuilding to begin! 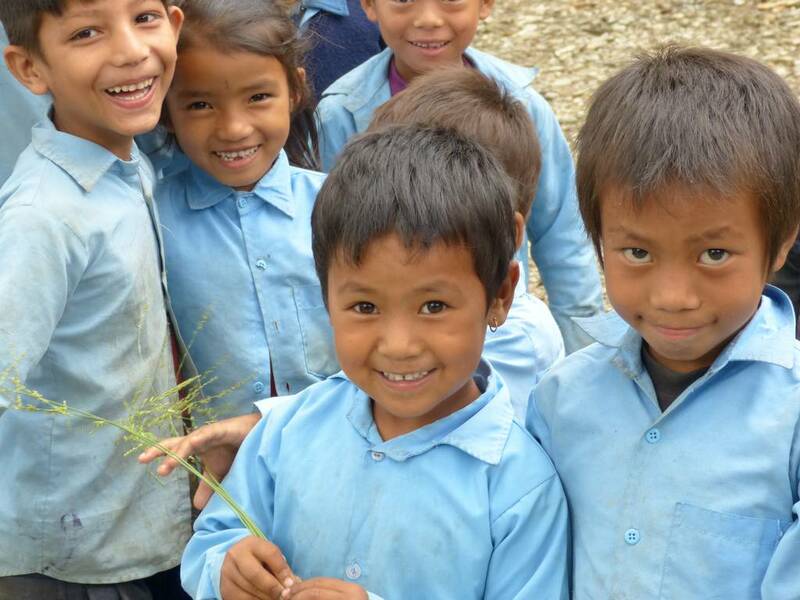 The Colorado Nepal Alliance (CNA) Board of Directors has voted to use the remaining funds we collected after the earthquake to help rebuild Darkha’s schools. We have selected the secondary school in Darkha, to which all of Darkha’s nine wards send their students. (We will not have funds to rebuild the entire school, but hope to build 6-8 classrooms there.) We have hired local architect Ajay Magar of Landmark Architectural Design Studio to design these classrooms. We are also raising funds to rebuild four classrooms at a primary school in the area. Our goal is to train and use local builders for these projects. We feel it is critical for local builders to gain exposure to earthquake resistant building practices, as Nepal sits in a seismically active region. It is equally important that the technology we use is one that locals can afford when they rebuild their own homes, shops, and the rest of their schools. Eight builders from Darkha, and two from the neighboring district of Nuwakot, just completed a two-day earthbag building workshop on the outskirts of Kathmandu. Tomorrow we are travelling to Sindupalchok to receive four days of additional hands-on training. The builders will learn many best practices, including the appropriate use of multiple tie beams to strengthen the walls of structures. Your contributions to CNA have made this training possible! Project Manager Gopal Tamang, assisted by Rajan Simkhada of Mamata Volunteers, (a local NGO with which we are partnering), is excited for the building to begin. Gopal has already started enlisting local volunteers whose free labor will lower our building costs and instill a sense of ownership by the community. We currently have shoes and boots positioned in-country, ready to be distributed through our Shoes for Sherpas project. We are working hard to identify an appropriate community for a shoe and boot distribution. The size of the community must be appropriate to our supply, and the village must be (mostly) accessible by road, as we need to avoid expensive portering costs. As always, we are being responsible stewards of your donations. I am personally paying my own expenses during this trip, so that 100% of your donations will go towards actual rebuilding. If you are interested in helping us with the exciting project of rebuilding classrooms at a primary school in Darkha, please contribute at ColoradoNepalAlliance.org/SchoolFund. Thank you for all of your good wishes and positive energy as we work together to rebuild Nepal!